In the world of barbering the latest fashion trends for men’s hairstyles can change more frequently than the manager of the England Football Team. 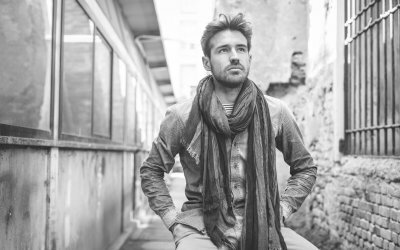 It is becoming more and more apparent that us guys take a lot of consideration into our fashion choices and hair is definitely one area we pay extra special attention to. We’ve been following some of Britain’s top barbers in order to provide a men’s hairstyle guide for 2017 and we’ll even let you know how best to maintain it. The long flowing locks of Harry Styles or Russell Brand have sent ladies crazy over the last few years and it seems that this hairstyle is growing a trend. A vast majority of men have started to grow out their hair this winter with a neatly parted 1970’s vibe. To keep your hair from looking dull and lifeless it is especially important with this style to take regular trips to the barber. 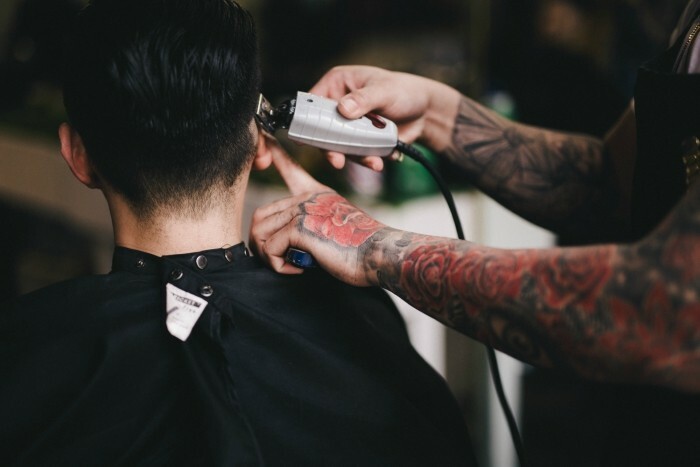 Pick a barber with good scissor skills to give your locks some texture and remember to regularly condition your hair to ensure it remains fresh. It’s an extremely easy hair style to maintain… just add a touch of matt paste to lightly style and keep your hair looking natural. Standout suggests… Team this rugged hairstyle with a strong character leather jacket and maintain the rugged rock star look. 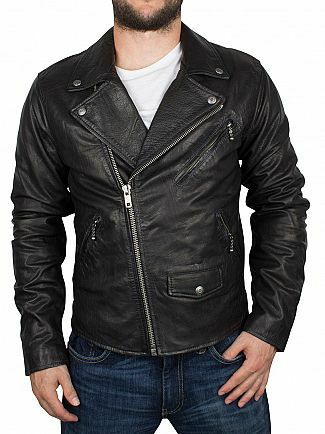 This Moto Leather Jacket by Levi’s features straight hemline, front zip closure, an upper zip pocket, two side zip pockets and a buttoned flap bottom pocket. So, the slicked back haircut has been a hairstyle leader for quite some time and it doesn’t look like that’s going to change anytime soon. The huge success of the TV series Peaky Blinders has meant that stylish chaps from across the globe have been requesting a short back and sides with a slicked back top. This is a great hairstyle for anyone with medium to long hair and can be kept nice, neat and professional. To achieve the best look you are going to need a strong, firm, hold. Your best bet is to select a pomade. Warm the pomade up between your hands and smoothly run your fingers through your hair from front to back. Use a comb to capture any stray hairs and push them firmly back into place. Standout suggests… Keep it classic on this one guys. These classic cuts can work with any outfit, but if you really want to give your hair some justice then team a slick back haircut with a crisp white shirt and an overcoat. 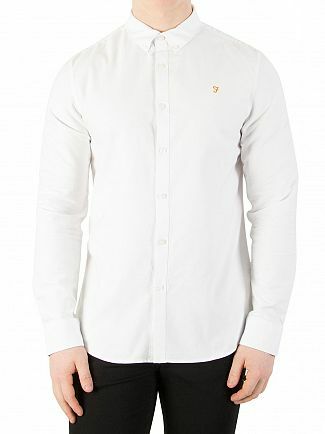 Farah Vintage white coloured the Brewer Slim Longsleeved Shirt features button-down collar with a button fly to the back, long-sleeves with two button fastened straight cuffs, pleated back. 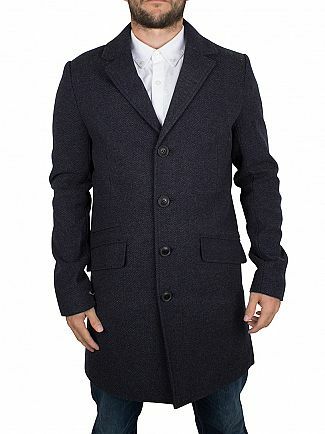 Featuring a wide notch lapel, the Otto Twill Coat in Dark Navy by Only & Sons also has two pocket design to the front along with long sleeves, loose cuffs and button closure to the front. 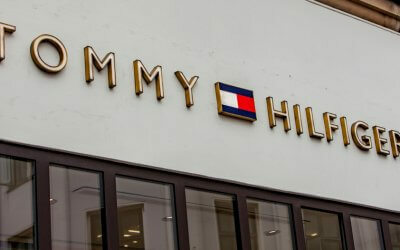 The French crop is a style that has been around for a very long time. A surge in the 1990’s made this the go to hair cut for every man and his son, and now it’s back with a bang! We have seen a wide range of celebrities don the French crop once again and we feel that this will be a popular cut for 2017. This style needs to be kept textured and not too neat. Slap on some matt clay and keep a textured finish. Standout suggests… You can’t go wrong by teaming this hairstyle with a pair of jeans and a slick tee. 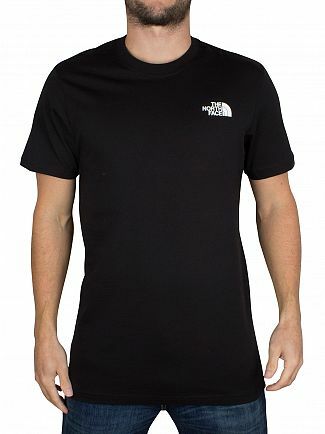 The Red Box Logo T-Shirt from The North Face comes in Black, featuring a crew neck and short sleeves. Coming with a large graphic on the back, this casual men’s t-shirt sports the brand’s logo on the chest.